MinRegion hopes that this time the Parliament will support the decentralisation package draft laws planned to be considered by MPs at the plenary meeting on Tuesday, 3 April. "We have to move on. The reform cannot fulfill its tasks without proper legislative framework. And the tasks are extremely important – creating decent living conditions for every person. If we ask any MP, whether he is against it, he will definitely deny it. Everyone wants Ukrainians to live well and be sure of tomorrow. Therefore, we have to work in this direction all together. The draft laws submitted for consideration should have been adopted long ago. But things did not come around as they were expected. There is no time to postpone these issues. People will not understand it. In my opinion, the Parliamentary majority supports the strengthening of local self-government and development of territories. 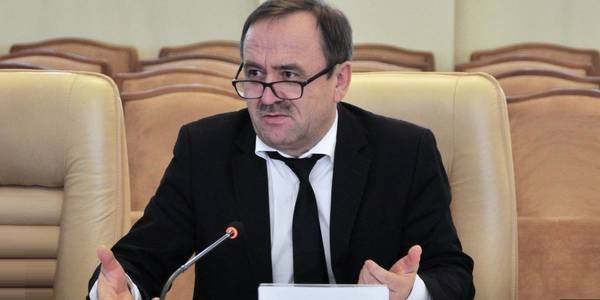 I hope that tomorrow we realise it again," commented Vyacheslav Nehoda, First Deputy Minister of Regional Development, Construction, Housing and Communal Services. It should be noted that on 3 April, the Verkhovna Rada of Ukraine intends to consider three draft laws from the decentralisation package: "On Voluntary Amalgamation of Hromadas" (regarding voluntary accession of hromadas of villages and settlements to hromadas of cities of oblast significance, No 6466), "On Service in Local Self-Government Bodies" (No 2489), "On Procedure of Formation, Liquidation of Rayons, Establishment and Change of Their Boundaries" (No 6636). Earlier, Prime Minister of Ukraine Volodymyr Groysman stated that further decentralisation of power in the country and high-quality implementation of the tasks of the reform require proper legislative support. "Adoption of a number of important draft laws by the Parliament in the context of the reform will give decentralisation a new momentum and create a legal basis for further development and enhancement of the capacity of local self-government at all levels."